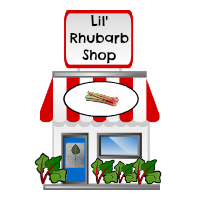 A quick and easy Microwave Rhubarb Crisp Recipe to make a microwavable rhubarb dessert for your family or guests tonight! Everyone loves fruit crisp for dessert or for snack time. Surprise your family or guests with this VEGETABLE crisp ... it's the ultimate comfort food! 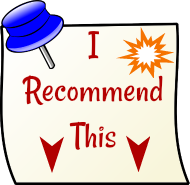 I just made this recipe today, and I simply cannot believe how easy it was. No need to heat up the kitchen by using the oven ... and, I never realized crumble recipes worked so well in the microwave! 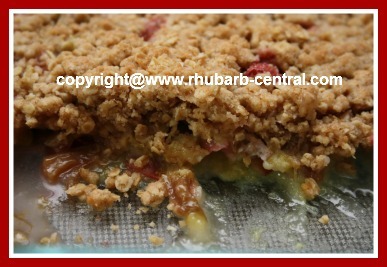 Why do I bother using the conventional oven to make fruit crumbles and fruit crisps? 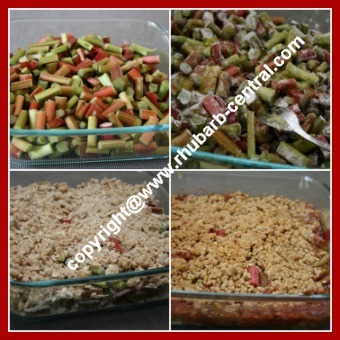 In an 8" or a 9" baking dish combine the rhubarb, sugar, the 4 tbsp. flour and the beaten egg, and mix until well combined. In a medium size bowl, combine the flour, rolled oats, brown sugar, and the cinnamon (or nutmeg). Using a pastry blender, or a fork, cut in the butter and mix until the mixture resembles coarse crumbs. Sprinkle the crumb mixture over the rhubarb mixture in the baking dish. Microwave at a "Medium-High" setting, uncovered for about 12 - 15 minutes, or until rhubarb is tender. 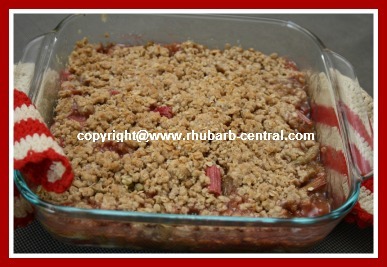 Stop and check the rhubarb crisp at least a few times while mixture is cooking. If desired, transfer the cooked rhubarb crisp to an oven, and place under the broiler (at about 425° F), for a few seconds/minutes. BE CAREFUL ... if not careful, in a few seconds the topping can become burnt or too brown. Serve warm or cold with a dollop of ice cream, whipped cream, dessert topping or yogurt. 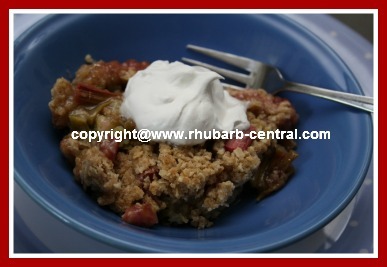 Enjoy this microwave rhubarb crisp recipe! Yummy Rhubarb Dessert Made in the Microwave! 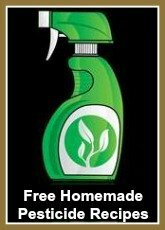 How do you store your flour to keep it fresh?